We warmly welcome you to our website and would like to thank you for your interest in our sollicitor’s office. Our sollicitors cover almost all areas of law with their expertise. As every sollicitor is specialized in his areas of law, we can offer a high level of quality. We advise and represent you competently in traffic law precisely fulfilling your requirements. With over 4,000 regulated traffic accidents and more than 1,000 penalty proceedings, we are very experienced in dealing with insurance companies and authorities. Our sollicitors are capable to assist you competently and confidently in all areas of criminal law. During administrative coercive measures, such as arrests and house searches, our emergency phone is at your disposal. In information technology, we are always up to date. For online contracts, domain name disputes, fake reviews, written warnings or trouble with your telephone service provider feel free to consult us for advice. 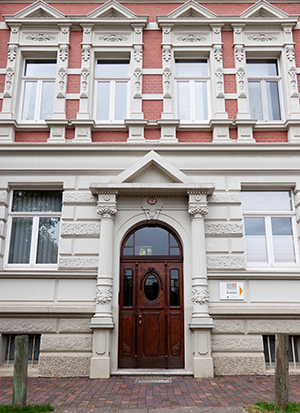 Our sollicitors help and advise you with reference to the area of supervision law inMinden andBielefeld. Especially in the field of personal preparedness, it is important that you seek advice for power of attorney from a sollicitor in time. Especially in inheritance law, it is of utmost importance that early workable solutions can be found. Complete preparedness can avoid dispute concerning heritage. Comprehensive advice in the area of family law does not begin in the separation process, but rather requires timely decisions. We would be delighted to advise and represent you. In urgent cases – arrest or house search – you can contact us at any time. Our emergency number is 0521 / 80189773.